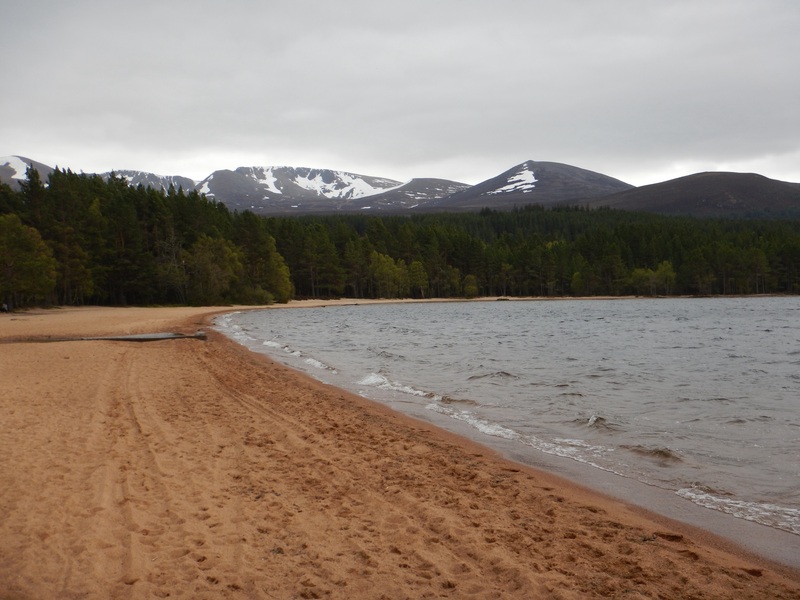 Had a great hike through Glenmore and around Loch Morlich in the Cairngorms. Lasting 5 hours, we were able to see a lot. 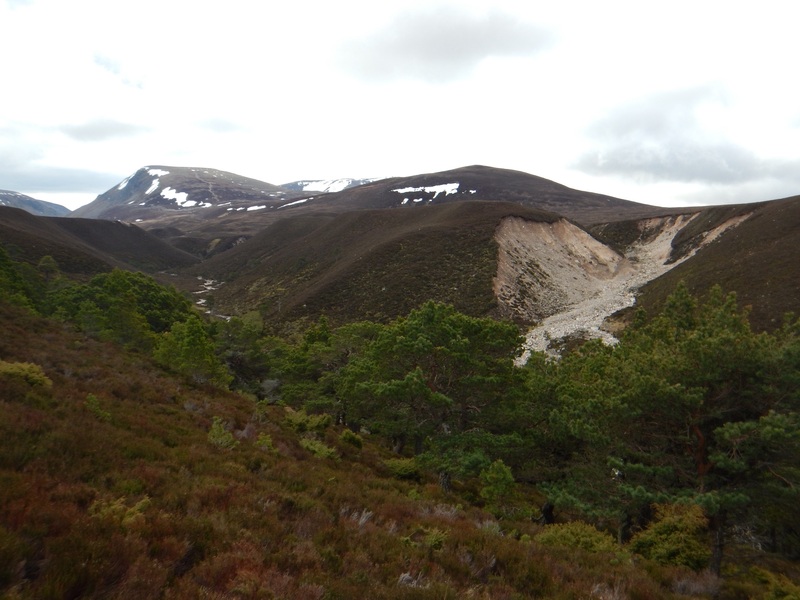 Unfortunately with the high wind conditions, we couldn’t follow the Lairig Ghru route for as long as planed but that was okay! Starting out on a dirt road, we were on our way. Signs were posted for our route and we turned off the dirt road onto double track. As we continued to hike, the landscape was different than what it had been in previous days with lots of trees and forest. 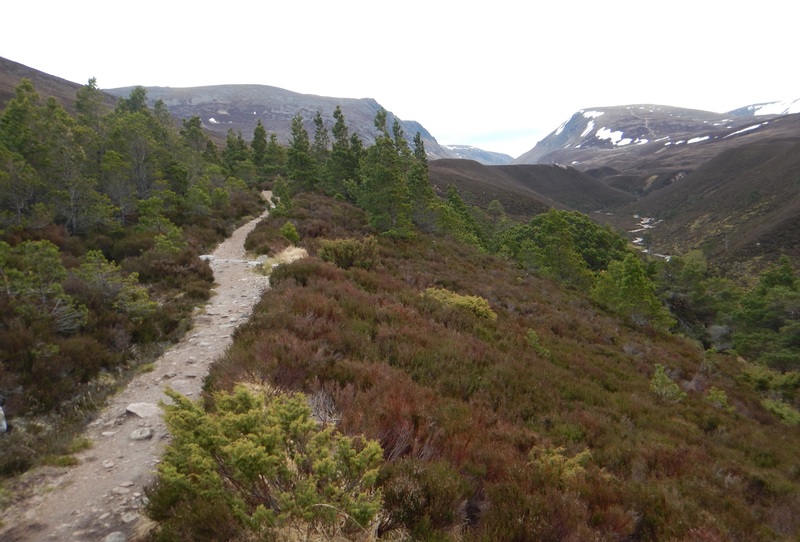 This gradually changed as we climbed higher and the path narrowed. The landscape opened up around us and the surrounding mountains and valleys could be seen. 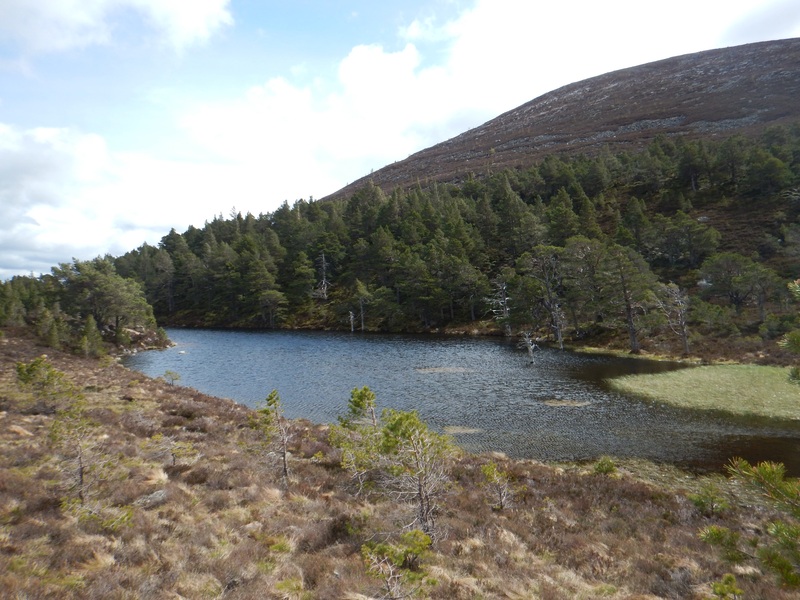 With the winds picking up, we looped around and made our way back to the Loch near where we started. It was here that we stopped for lunch, relaxed, and enjoy the nice day. Flo was nice enough to provide us with some ginger cake for dessert which was delicious. 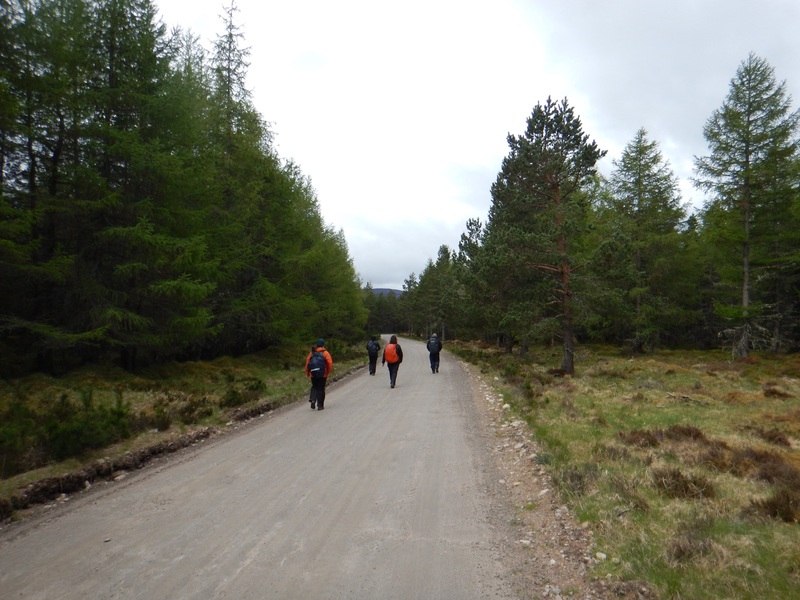 The hike continued after lunch circling Loch Morlich. It was an easy hike but was very enjoyable. 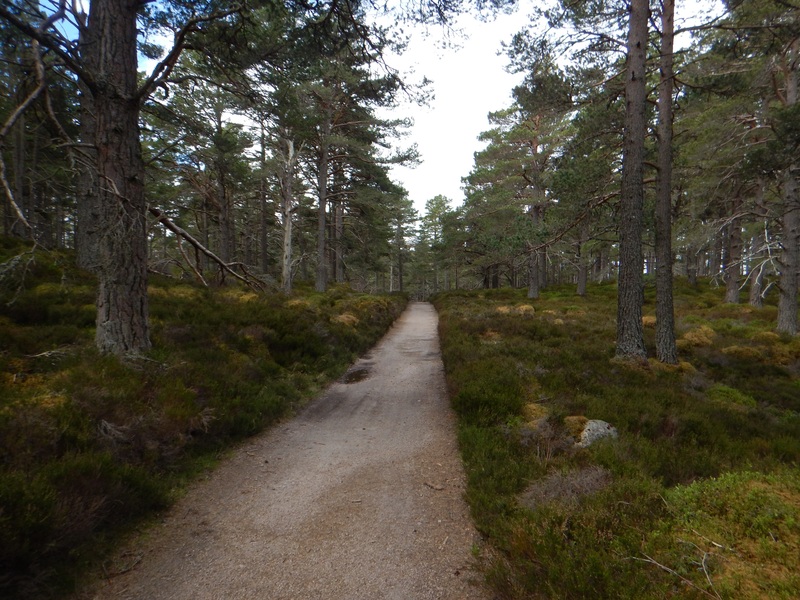 Walking at a casual pace, we were in no hurry and stopped to view some of the different trees and plant life that surrounded the loch. The path crossed over a small river and continued to the beach. After crossing the beach, we stopped for a coffee and then headed back to the car. The weather held up great all day with just the winds picking up in higher altitude. Lots of Water in Scotland! How far was this hike? Where was the trail head?